We attended 6 shows in the 2011 show season and won Best of Breed for the Saddlebacks at 5 of those shows and have won Reserve Best in Show at 2 of them. 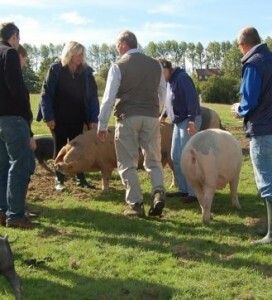 The Five Best of Breeds have also been from 4 different pigs, with Amy our 4 year old sow winning at Heathfield and then again at Surrey County. 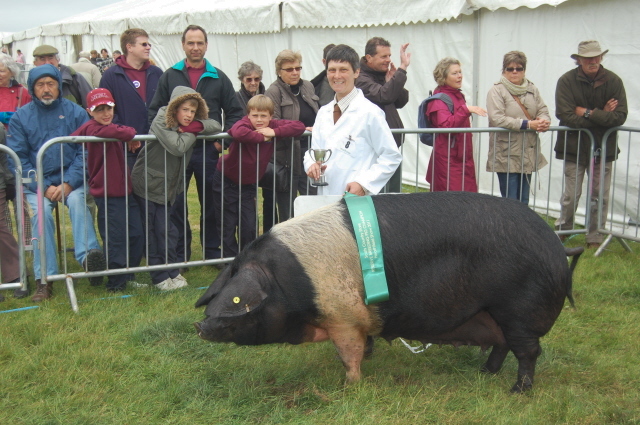 This was followed by Hilary, our September Gilt taking the spot at the Singleton Rare breed show (beating Amy that time), and on 7th Aug our 3 year sow Miranda (pictured above) took Best of Breed at the Cranleigh show. 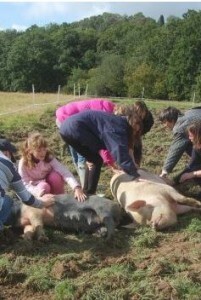 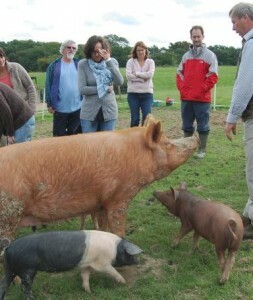 The last show was at Edenbridge where our two and a half year old sow Joyce took the Best Saddleback slot. 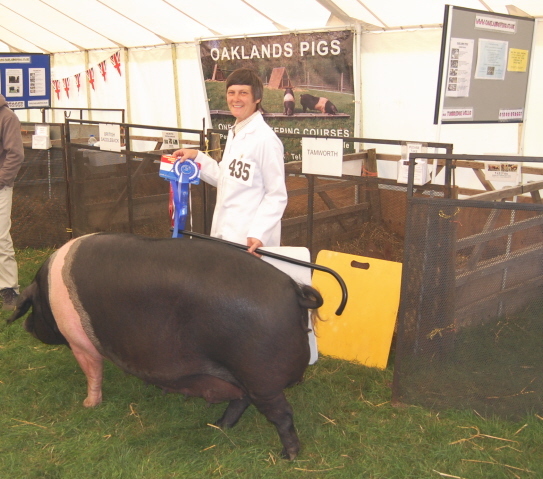 We were also pleased that at manyof the shows it was different age saddlebacks from Oaklands Pigs that were competing for the Best of Breed title. 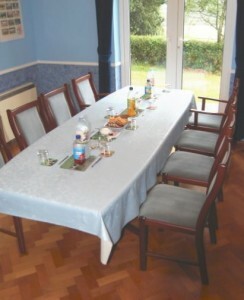 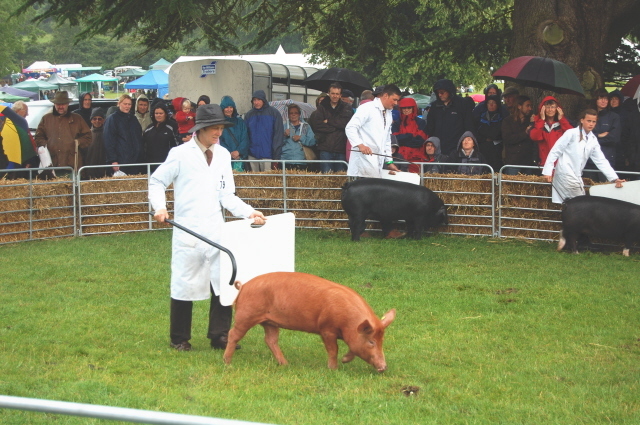 The Two Reserve Best in Shows were won by Amy at the Heathfield show (pictured below) and Miranda at the Cranleigh show. Although its the Saddlebacks that are our primary focus on the show circuit, we were also delighted that our January Tamworth Gilt Tabitha won a class of 8 entries at the Singleton Show. 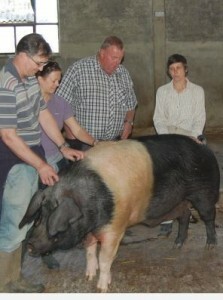 Mind you, you have to be fit to keep up with a young Tamworth in the ring !